Rattan Enterprises is manufacturing a wide range of Sparkler Filter Pads and Filter Papers in a very highly sophisticated production plant. The entire process of manufacturing is untouched by hand from the pulping stage to the finished product on high precision completely automatic plant, which ensures a uniformly produced filter media for excellent purity and free from external contaminants. Our raw material is continuously monitored for quality control. Constant laboratory tests are conducted to check Filtration Efficiency, Pads Porosity, Absorbency, Filtration Speed and Bursting Factor. The fibers of our Sparkler Filter Pads and Filter Paper are also subjected to a special porous chemically inert wet-strength impregnation process, to impart very high mechanical strength while filtering aqueous. 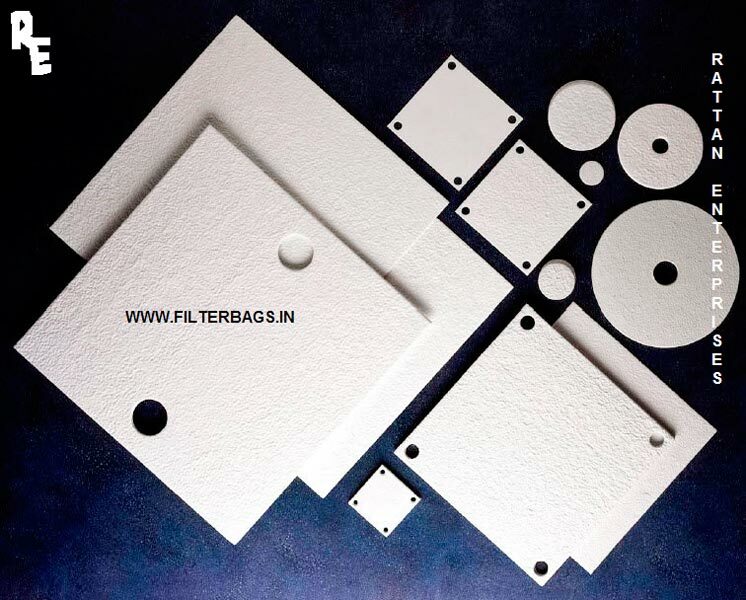 We also manufacture Handmade Filter Pads, as per customers requirement. Carbon has been used for many years in loose form to remove color and odor from liquids. In certain applications, the loose carbon can be replaced with a carbon impregnated filter pad. When using loose carbon, it is necessary to remove the carbon with some means of filtration. If that include a plate and frame filter press, then the press can be dressed with activated carbon filter pads, eliminating the need for dumping loose carbon into a mixing tank, and then scraping the carbon off of a filter paper or cloth. We offer two series of Activated Carbon Filter in two different grades, RBK2, RBK25. Each grade can be manufactured with various different grades of carbon, allowing to help optimize your filtration.